Ferntree Rainforest Lodge - The hotel resort accommodation at the Ferntree Rainforest Lodge in Cpae Tribulation is the ideal beach holiday destination close to the Daintree Rain Forest for the budget conscious traveller. The Ferntree Rainforest Lodge provides both holiday makers and business travellers with discount accomodation. This Cape Tribulation accommodation features modern amenities and is close to everything that the city has to offer. Just a short stroll from Cape Tribulation's beach and famous mangrove board walks, Ferntree Rainforest Lodge is a superb, yet affordable tropical getaway. Nearby Attractions : Ideally located in the heart of this unusual harmony is your hideaway, Ferntree Rainforest Lodge, where a rare nature lovers’ paradise awaits you. Go bush walking, horse riding, kayaking, snorkelling, fishing in the estuaries, or simply unwind in one of Australia's most beautiful, untouched settings. Daintree Rainforest Retreat - Daintree Rainforest Retreat in Far North Queensland is a eco friendly accomodation set in beautiful rainforest gardens & jungle, with abundant birdlife, butterflies & wildlife, close to beach- The Daintree Rainforest Retreat Motel has a number of guests facilities and services including Disabled Facilities, Faxing Facilities, Free Car Parking, Guest Laundry, Pets Allowed, Restaurant, Room Service, Outdoor Swimming Pool, Tour Desk, BBQ, Garden and Daily Housekeeping which will make you feel right at home the next time that you stay. 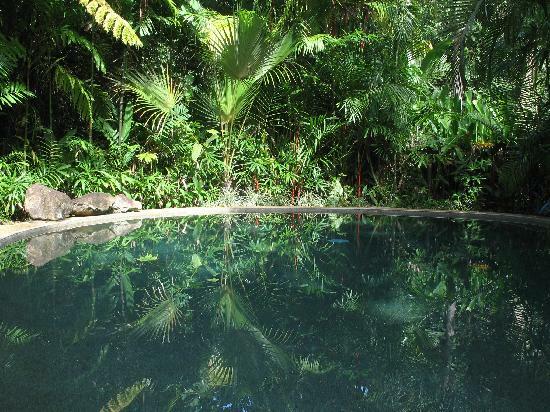 The Daintree Rainforest Retreat is a small boutique motel situated in the heart of the World Heritage listed Daintree/Cape Tribulation National Park. Nearby Attractions : There are Scenic Drives, Butterfly Watching, Bird Watching, Bushwalks, Boardwalks, Horse Riding, 4WD Tours, River Cruising, Sea Kayaks, Beach & River Fishing, Tree Top Tower, Jungle Surfing, Croc Spotting, Night Walks, Snorkeling, Diving and Swimming nearby. Visit the Daintree Discovery Centre for the day where you will enjoy a climb to the top of the tower to be on the same level as the treetops in the jungle. Take an all day cruise to the reef to snorkel or dive, Jungle Surf and enjoy a night walk through the jungle. 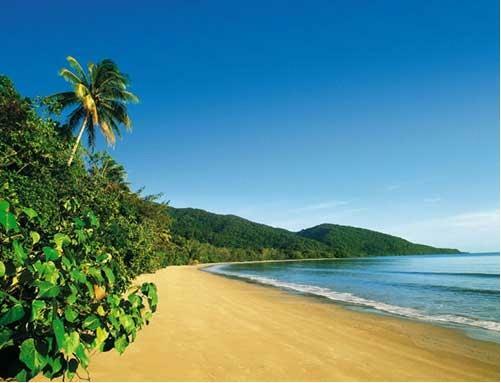 Cape Tribulation Resort and Spa - The Coconut Beach Resort offers holiday makers luxury 4 star hotel accommodation in the beautiful Queensland beach location of Cape Tribulation, at the foothills of the Daintree Rainforest. The friendly staff at the Coconut Beach Resort will be more than happy to help you book any of the many tours available including rainforest walks, horse riding, kayaking and day trips to the nearby Great Barrier Reef. Between the extraordinary tropical underworld of the Daintree Rainforest and the sparkling turquoise of the Great Barrier Reef at Cape Tribulation - a true paradise and one of the world's most remarkable environments. 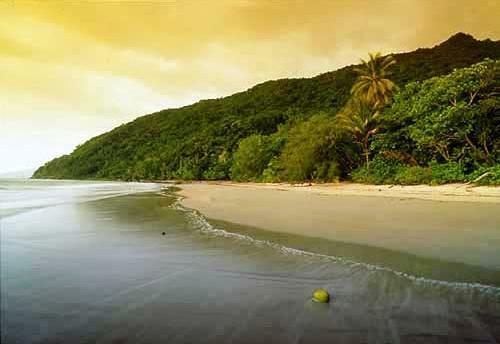 Nearby Attractions : The perfectly situated Cape Tribulation Resort & Spa is unlike any hotel in the world. The ancient Daintree forest is literally a living museum that has barely changed over thousands of years, while the Barrier Reef is the world's largest coral formation, comprising nearly 3,000 reefs, with 400 different kinds of coral. Its waters teem with spectacular marine life. Scuba diving, snorkelling, sea kayaking, 4WD trips, horse riding, rainforest walks and crocodile cruises are just some of the adventures on offer.